A friend and her dog visited recently, and luckily the friend enjoys cooking and sewing as much as I do, so we had a great time. Unfortunately, I did NOT get pix of all the yummy food. However, we did make a cover for Cowboy’s portable crate. 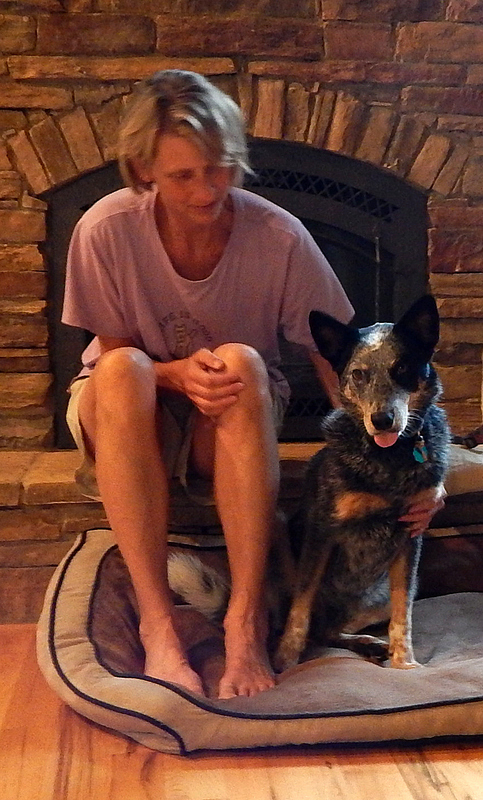 Cowboy is a very talented dog but also a very “reactive” one who is curious about anything he can see. 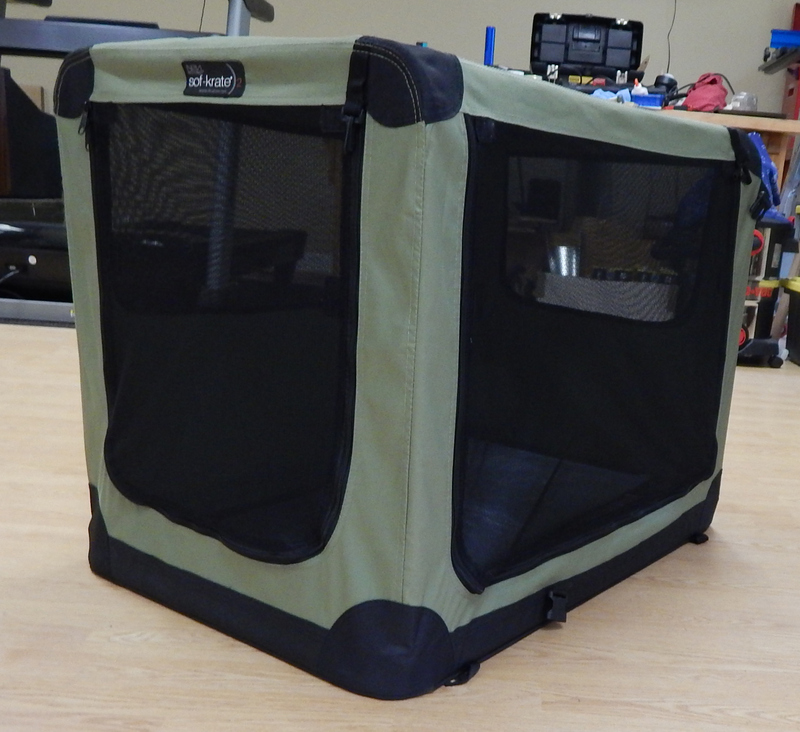 So his portable crate needed a cover to let him get some rest between trials at the doggie events in which he competes. There is a little door at the top for giving treats. 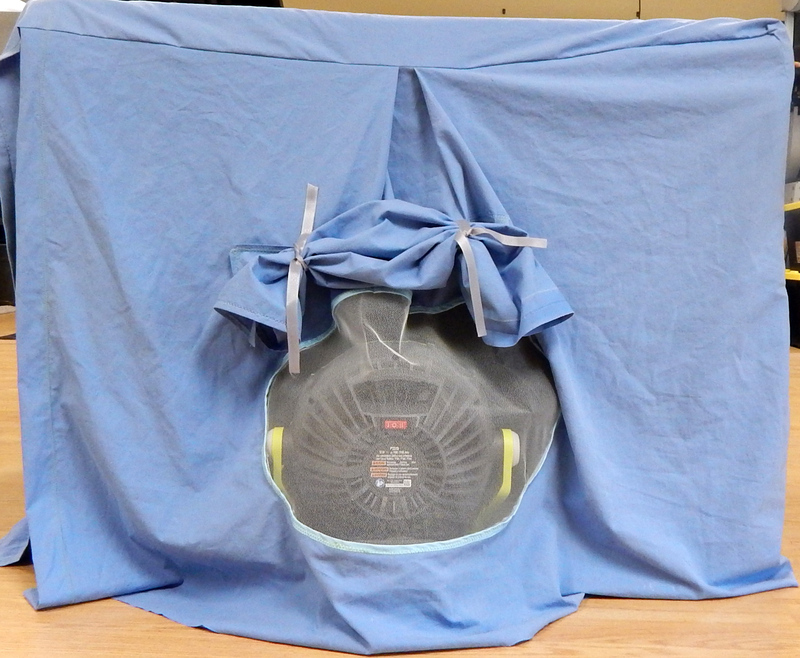 There is a screen in one side where a fan can blow in cool air. 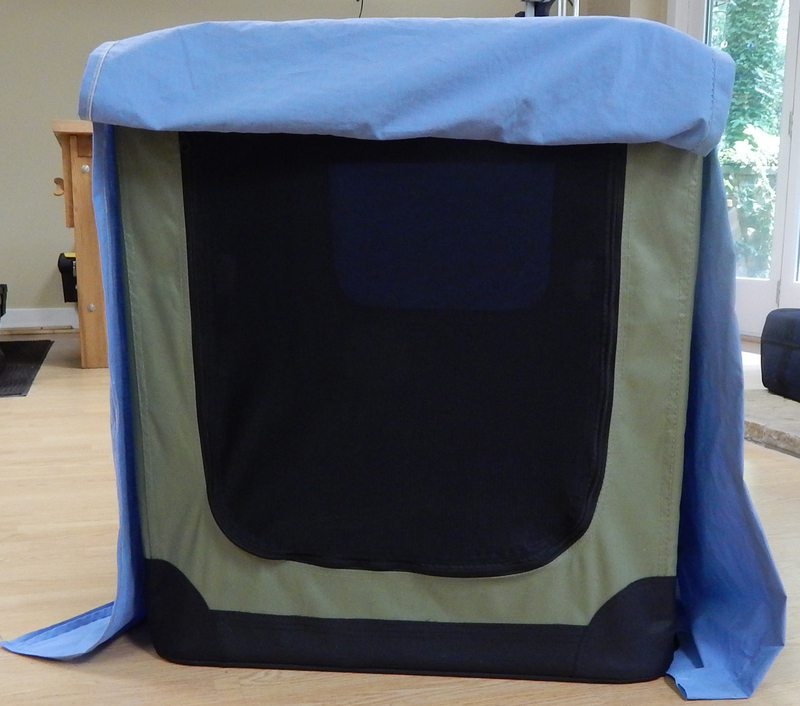 The screen has a flap to cover it when Cowboy needs rest more than he needs a breeze. 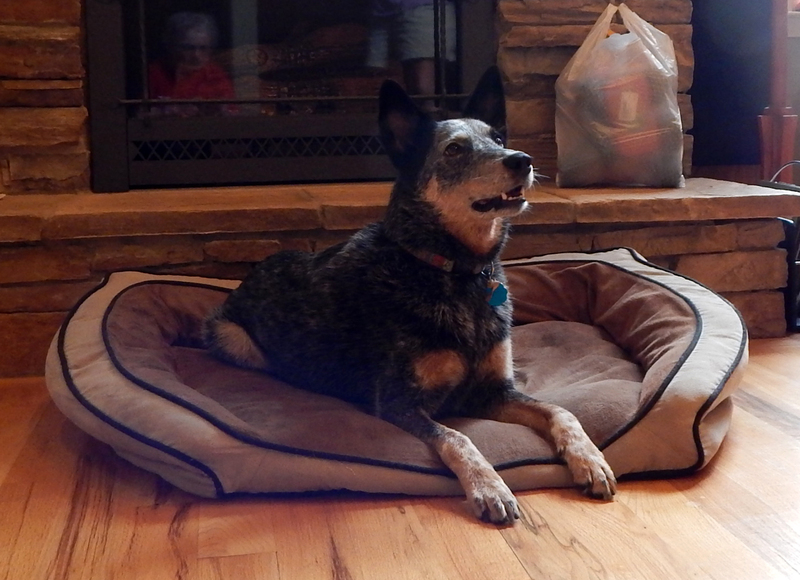 And of course there is a big flap over one end of the crate that can be thrown up to let Cowboy in and out. 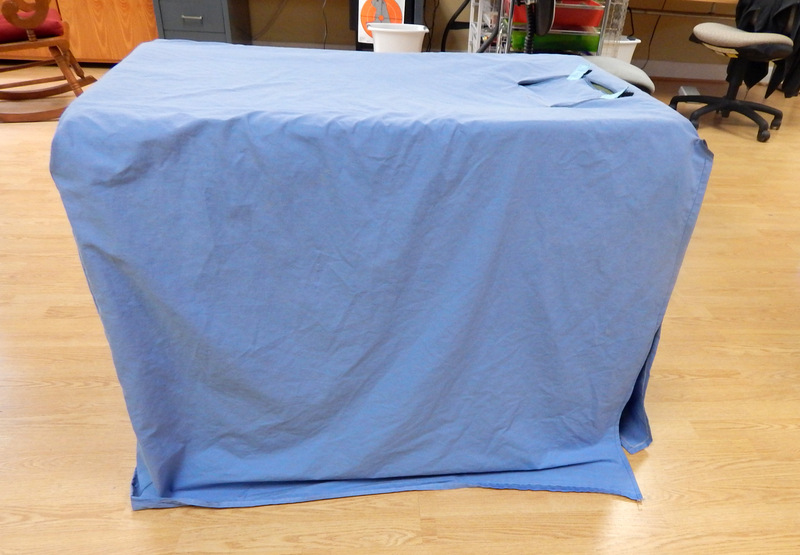 We enjoyed the many challenges involved in making the crate cover. 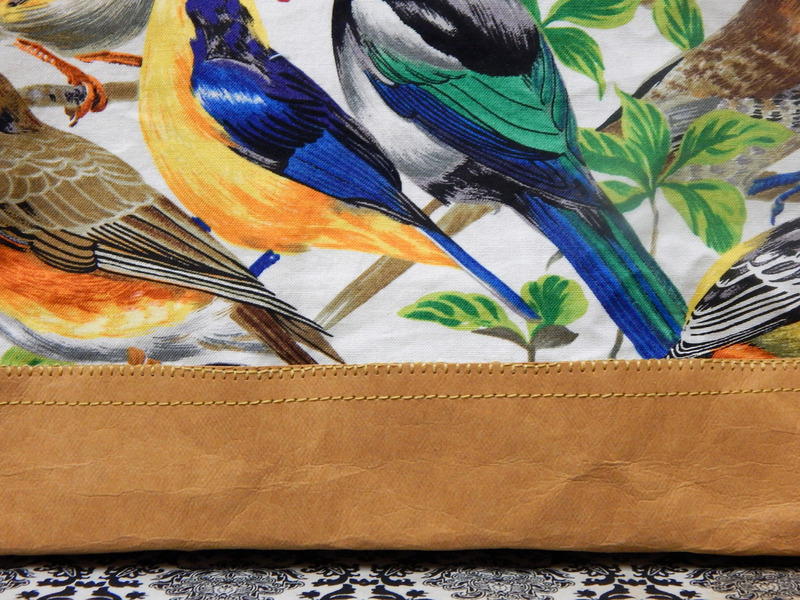 Naturally, we had to make a few little bags for ourselves, as well. A good time was had by all. 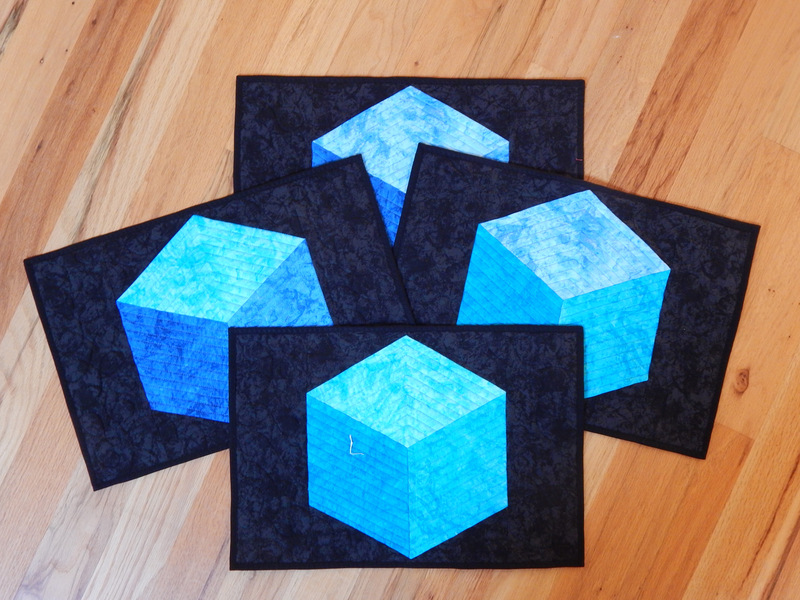 A while back a bag pattern called for “foam interfacing” and I had NO IDEA what that was. 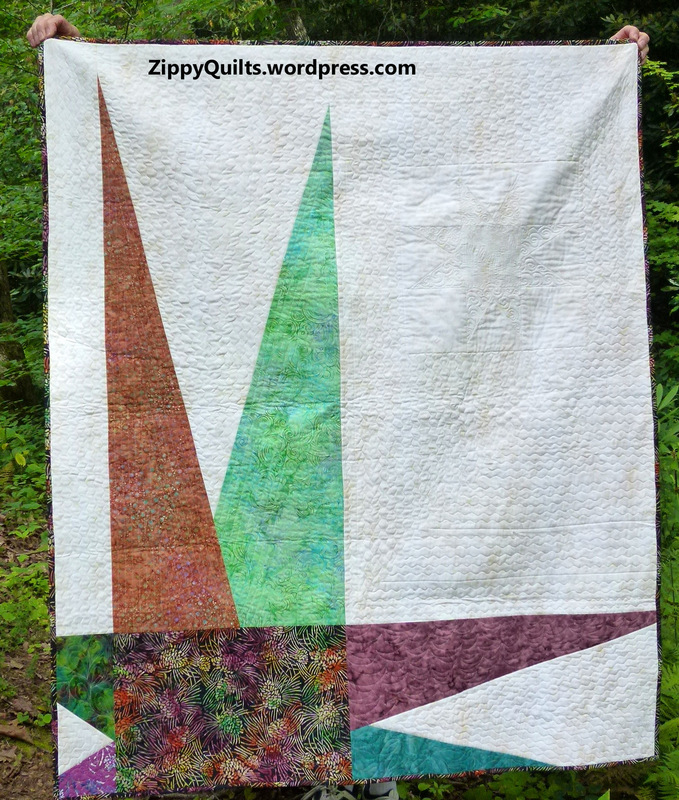 Luckily, the folks at my local quilt shop DID know! They sold me Annie’s Soft and Stable and it has worked out very well! The bag above was the one that initially required foam interfacing. 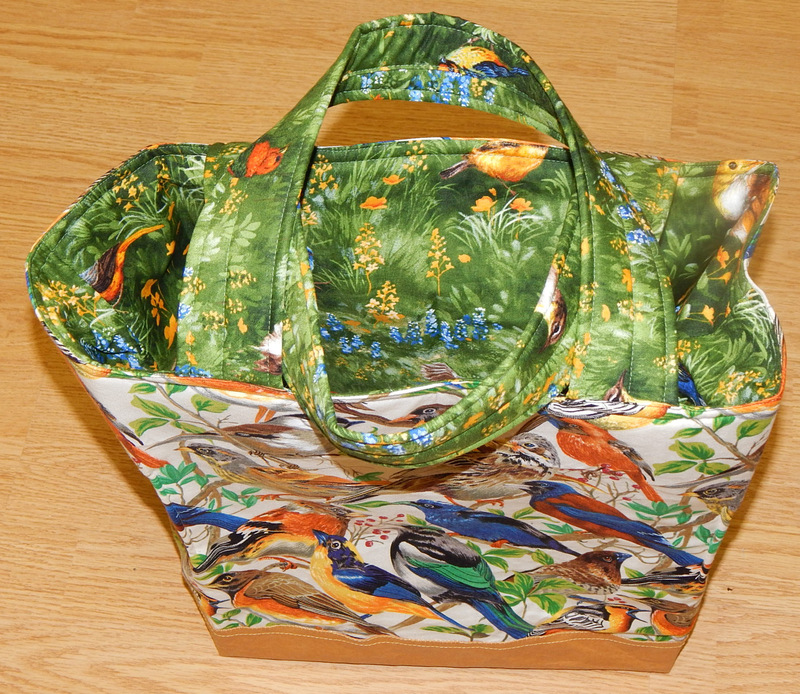 I used the foam interfacing again recently, when I made a new version of the Market Tote from Bijou Lovely. It worked just as well on the larger bag as it had on the smaller one. It gives the bag lots of structure with little weight. The very BEST part was making handles with foam interfacing rather than the usual turn-the-tube method! I just cut strips of foam interfacing, wrapped them with fabric (turning under the last edge), and sewed three straight lines–one down the middle of the handle to close the fabric and one about 1/4″ from each edge of the handle as decorative top-stitching. It made comfortable, sturdy handles for the bag. Definitely making handles that way in the future! There are several other brands of foam interfacing, including a couple (from the reliable Pellon company) that are fusible. It also comes in more than one thickness. I haven’t really tried any of the other brands, but this one worked out well. I made a couple of bags using Kraft-Tex for a sturdy bottom section a while back, and wasn’t that happy with it. My review is here, if you want to read it. 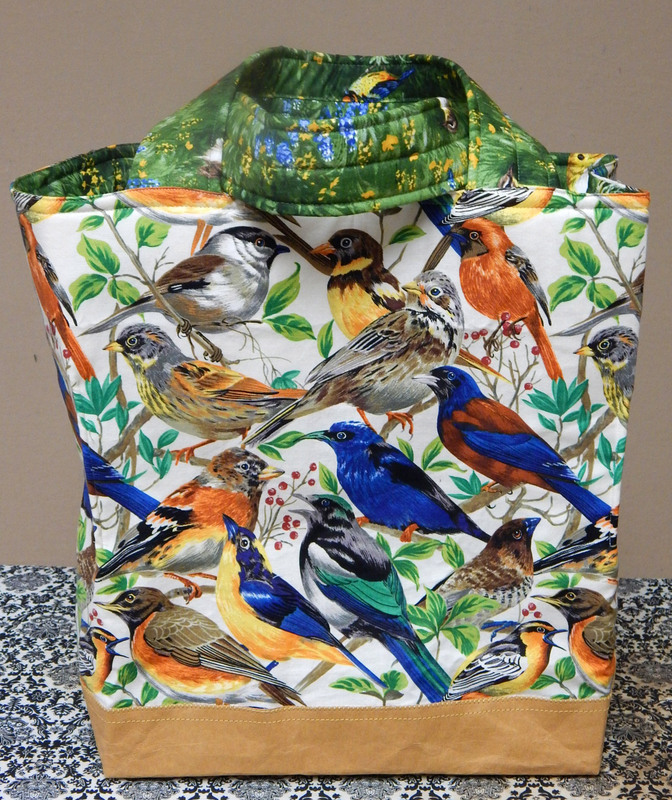 However, when I got some lovely bird fabric in a guild swap, I decided to make another tote bag and use Kraft-Tex to protect the bottom again. I pre-washed the Kraft-Tex to soften it a little, then crumpled it in my hands to soften it a little more. I had BARELY enough for a shorter-than-recommended bottom section, but it worked out fine. 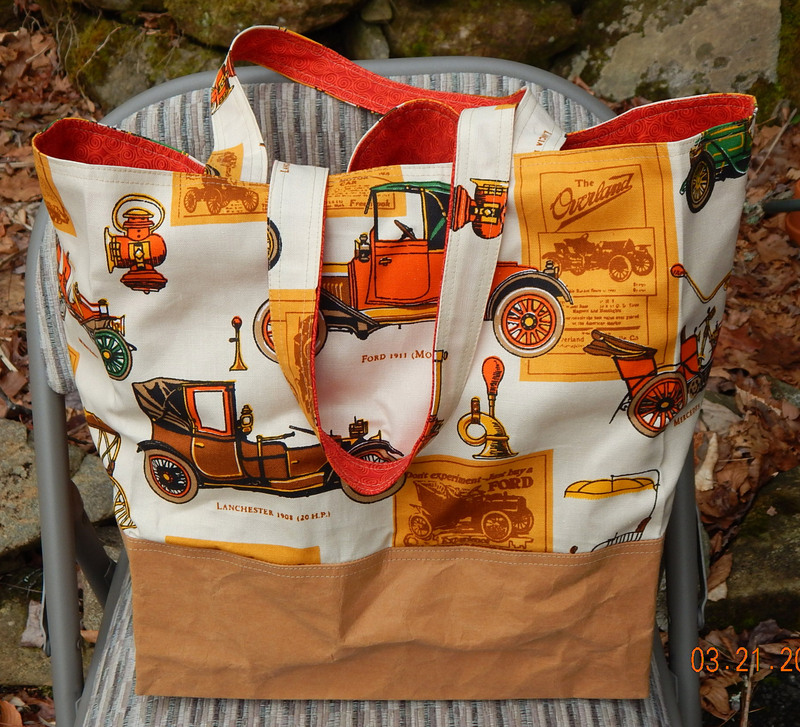 I used the same pattern as before, the Market Tote which is free at Bijou Lovely. 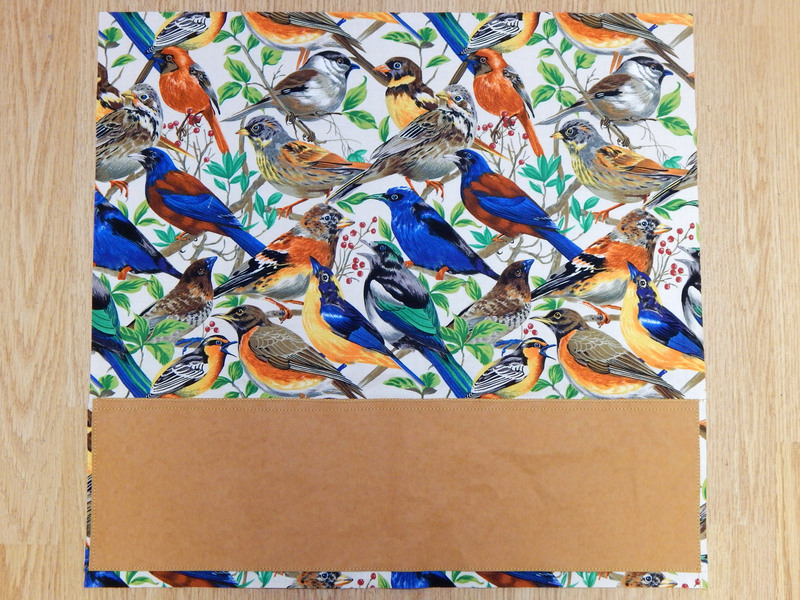 As you can see, I had some beautiful birds-in-the-grass fabric (a Moda print) for the inside. I used a buttonhole stitch to secure the top edge of the Kraft-Tex. Overall, the Kraft-Tex was much easier to use this time. 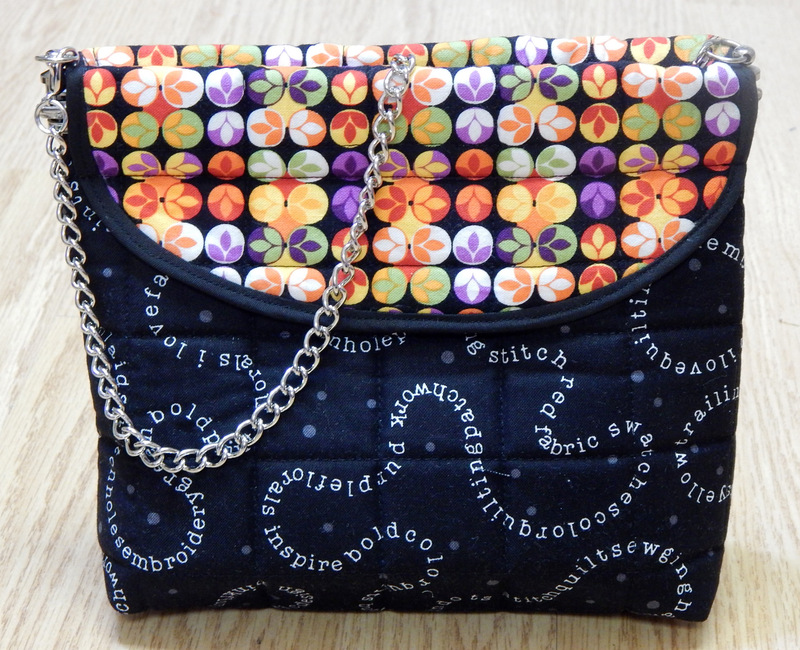 It makes a sturdy bottom for the bag, is washable, and presumably will wear better than a plain fabric bottom. 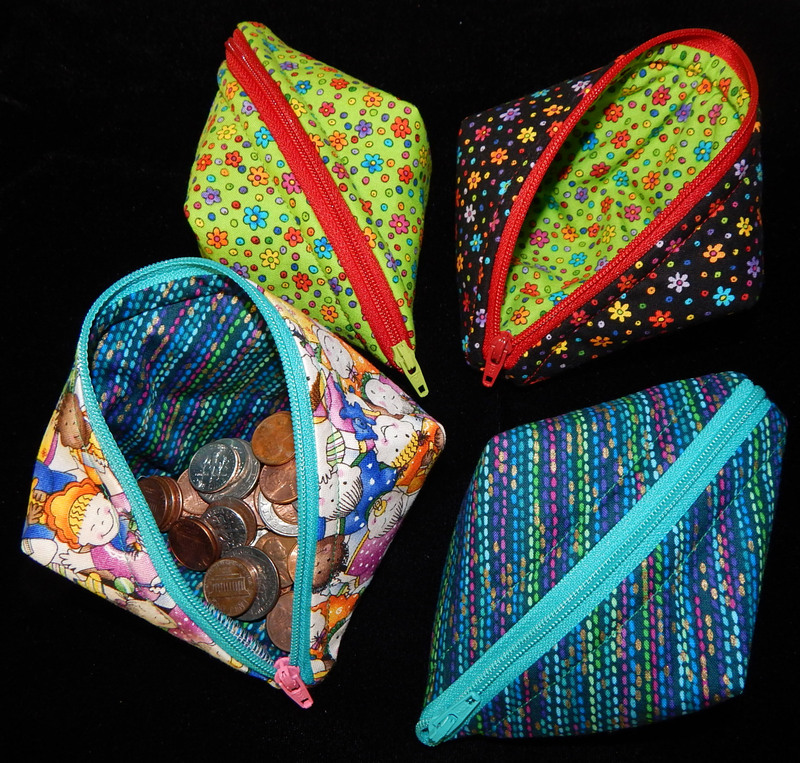 As before, the Market Bag tutorial was very well done and easy to follow. The only change I made was to revise the way the bottom was attached so that I didn’t have Kraft-Tex in the seams; that would have been quite bulky. I laid the Kraft-Tex on the top fabric and secured the edges with buttonhole stitch just inside the seamline, so it wasn’t necessary to have Kraft-Tex in the seams to hold it in place. That worked a lot better. In other words, I am now revising my opinion of Kraft-Tex and probably will use it for this purpose again! It still does’t really look like leather to me, but in this case that isn’t the point. My husband recently discarded some shirts, so I was interested to see this “Kitchen Shirt Tales” pattern from Indygo Junction. It looked pretty simple, and I’ve made dozens of aprons over the years, but I decided it was worth the money to buy the pattern rather than having to figure it out on my own. 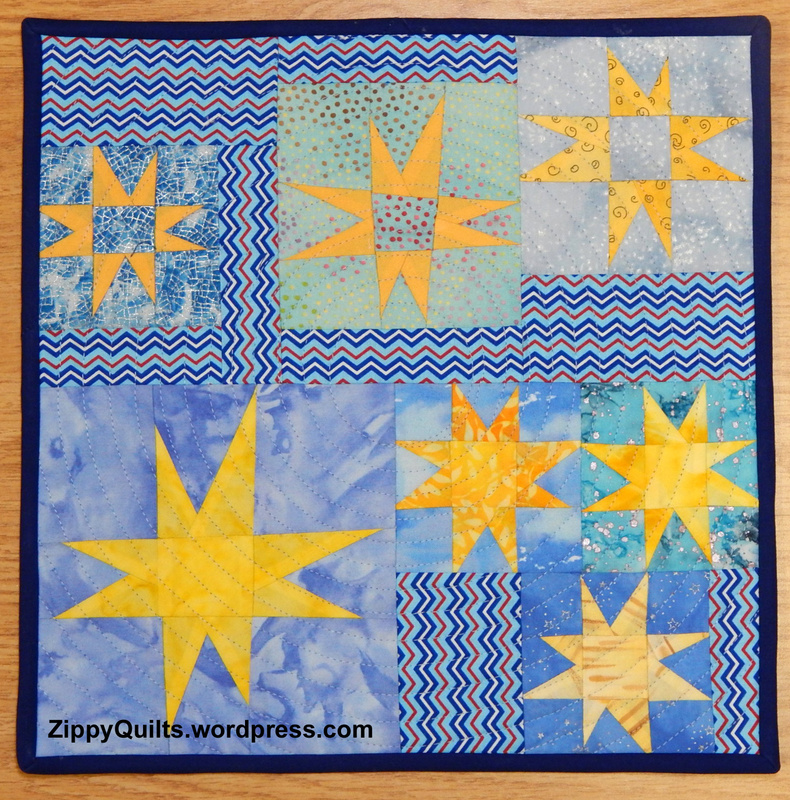 The pattern was downloadable, which added to the appeal–instant gratification! I was pleased with the way the apron came out, but only because I abandoned the instructions part way through construction. The instructions were MUCH too complex for a simple garment like this. 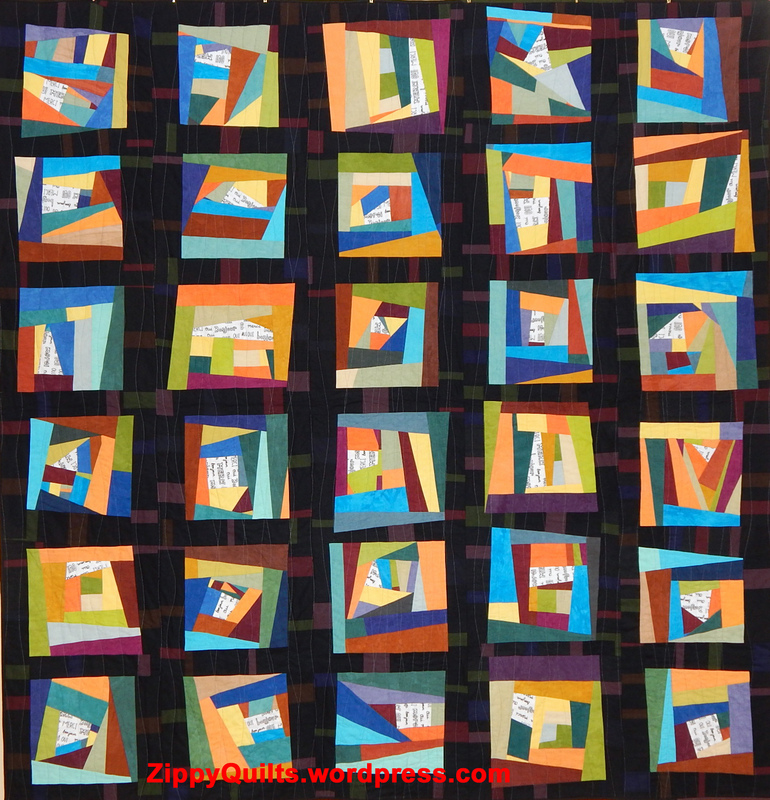 For example, rather than providing a pattern for the garment in different sizes (if, indeed, one needs a choice of sizes for an apron), the instructions were to measure yourself and then derive the cutting lines through a rather complex formula. After figuring out these measurements, you were instructed to draw the curve for cutting out the top by connecting the measurements.. I did get it drawn just fine, but it would have been so much simpler to just have a pattern piece for cutting out the main body of the apron! As you can see below, the apron looked just fine on two of my colleagues who are different sizes. At this point, the instructions became confusing and there were VERY few illustrations. I usually do pretty well with verbal instructions, but the most commercial patterns have a drawing for each step for a reason. This pattern would need many, many more drawings to be clear. I quit the instructions at that point and made the rest up as I went along. 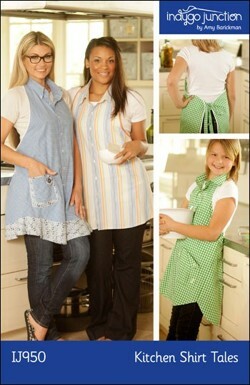 I still think it is a great idea to recycle a shirt into an apron, and this is cute the way it came out. 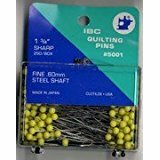 The pattern, however, could be greatly improved by the addition of a pattern piece for cutting and many additional illustrations. Does everybody in American have one of these? 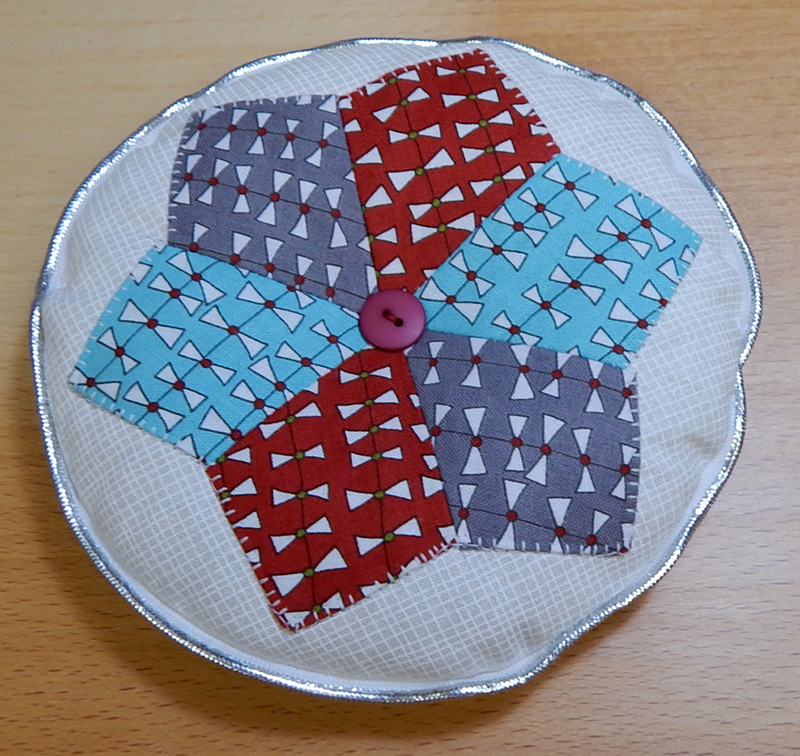 One of my quilt groups has a pincushion exchange scheduled for next month, and the last program was a display of many creative pincushions. I wish I had taken pictures! Since this is quite a creative group, I’ll be sure to take some at the exchange. 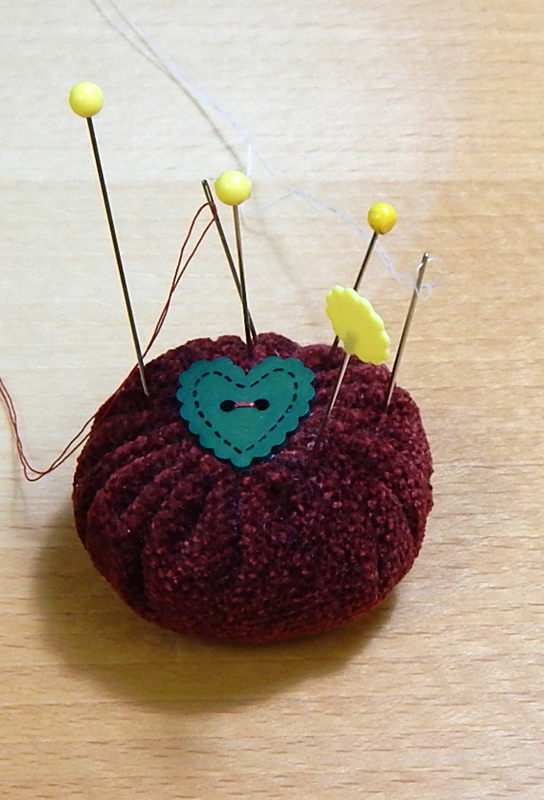 Meanwhile, I needed to make a pincushion. Note that I don’t say I need a pincushion. That certainly is not the case. 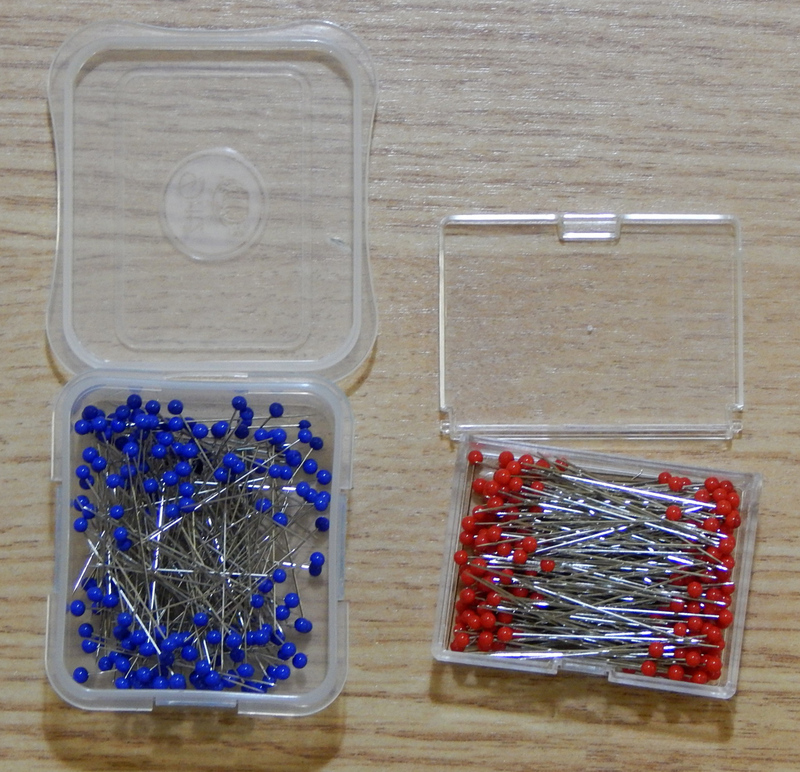 I have a number of pincushions, and yes, I use all of them. However, to say I need another would be pushing it! 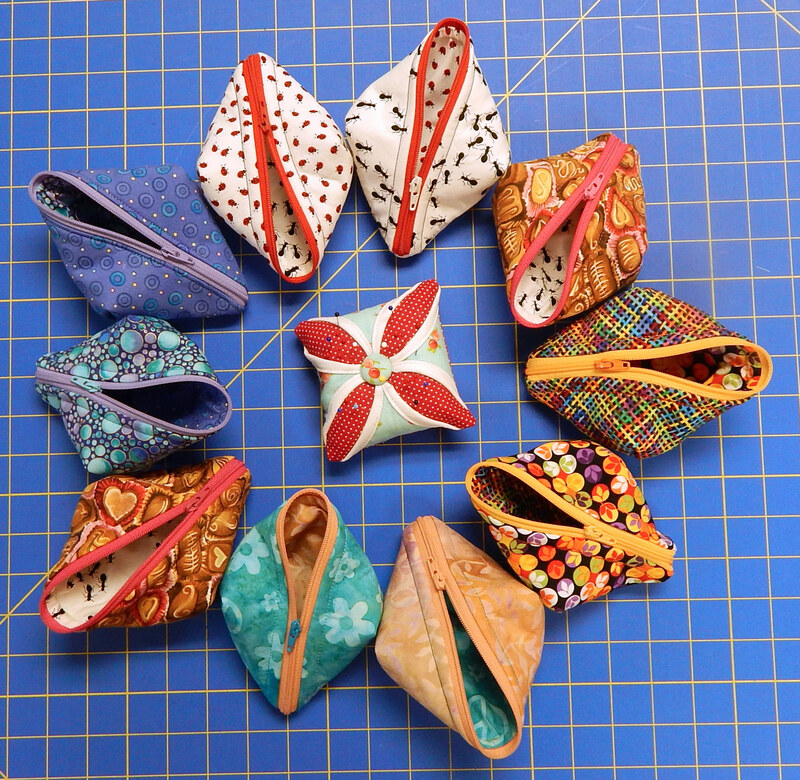 I also noted that one of the bloggers I follow had gone crazy making pincushions, many of which were just little quilt blocks sewn together and filled. So I made a mini from some 2″ finished blocks I found in the orphan bin. 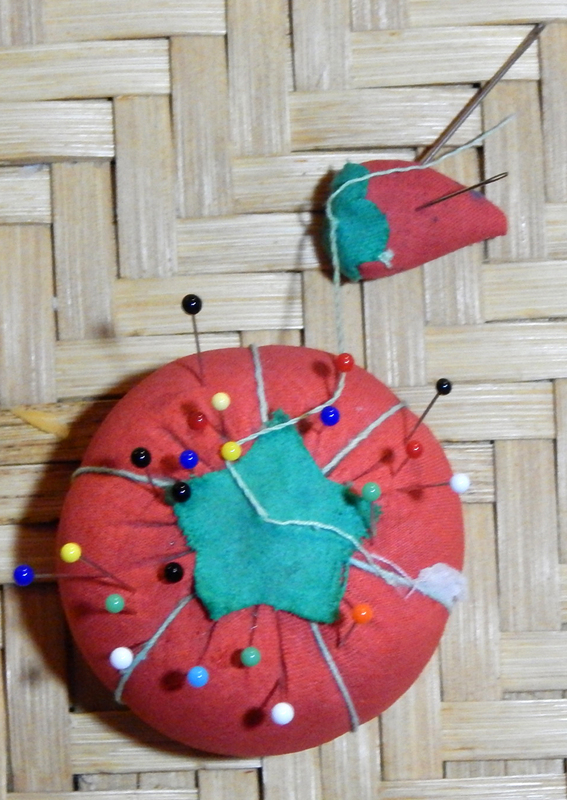 Then I went a little crazy myself, and took pictures of all my pincushions. Most of them were gifts from friends or family, which gives them special meaning. And finally, a fun factoid: I learned in my research that it is best to stuff pincushions with crushed walnut shells to give them a little heft! And those crushed shells are sold as lizard litter in the pet store! Who knew? Note: As always, I received NO compensation of any type for this review. 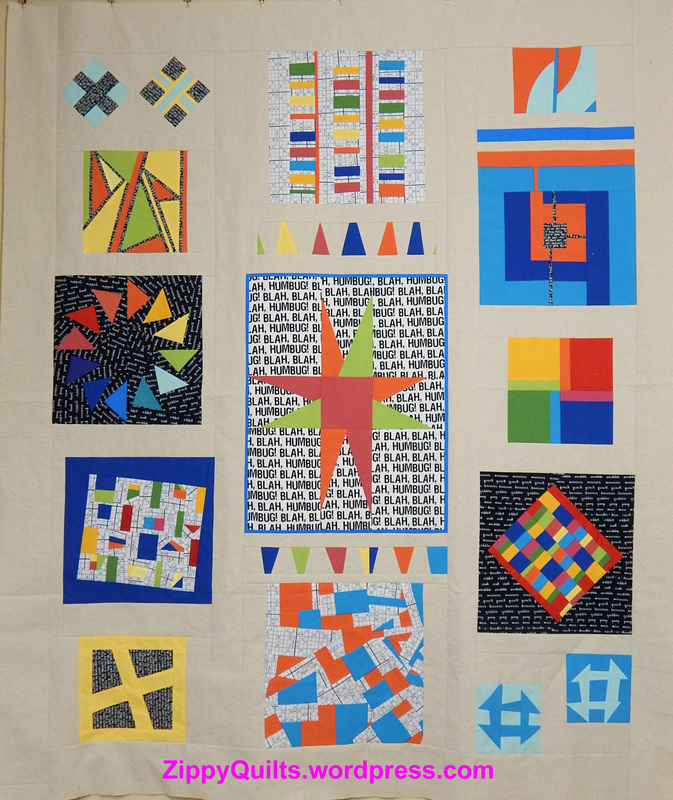 One of the many things I enjoy about attending a quilt show is the opportunity to visit the vendors. 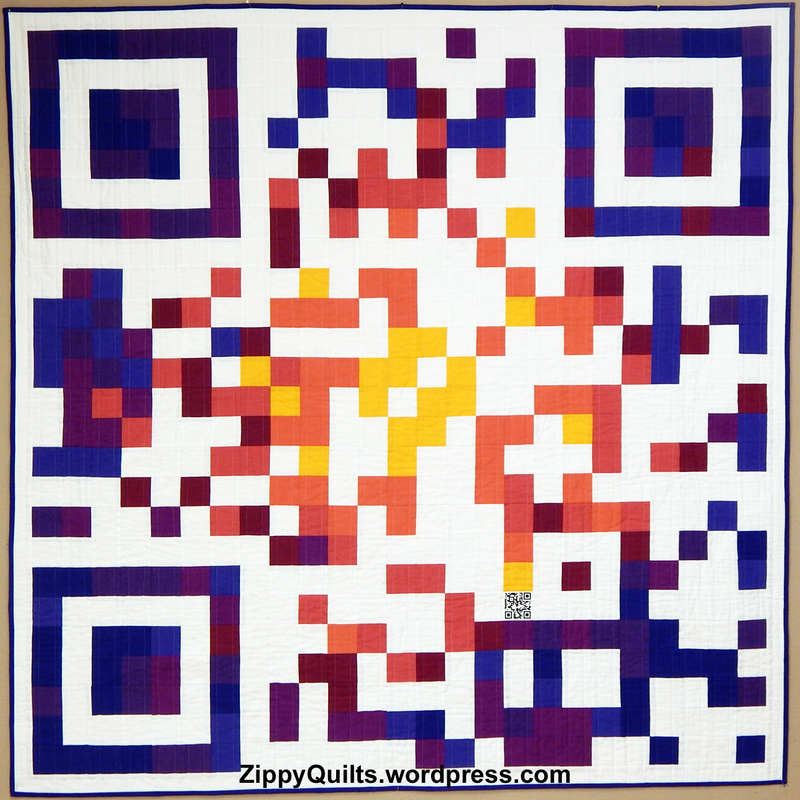 Since my nearest “local” quilt shop is about an hour away, I often see things online long before I get to examine them in person. Occasionally I do buy online, but there’s no substitute for looking something over personally before buying. 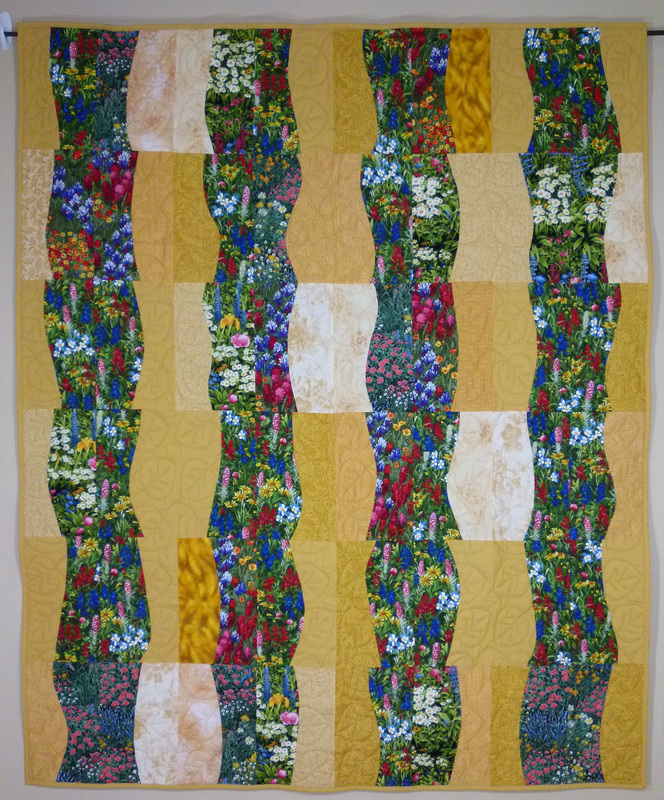 At the Vermont Quilt Festival, I came across this pattern that I had been considering online because it looked so darn cute. 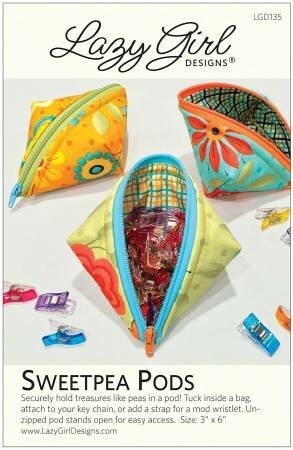 I talked to the vendor about it to be sure it included instructions for doing that tricky thing with the zipper and learned that it did. 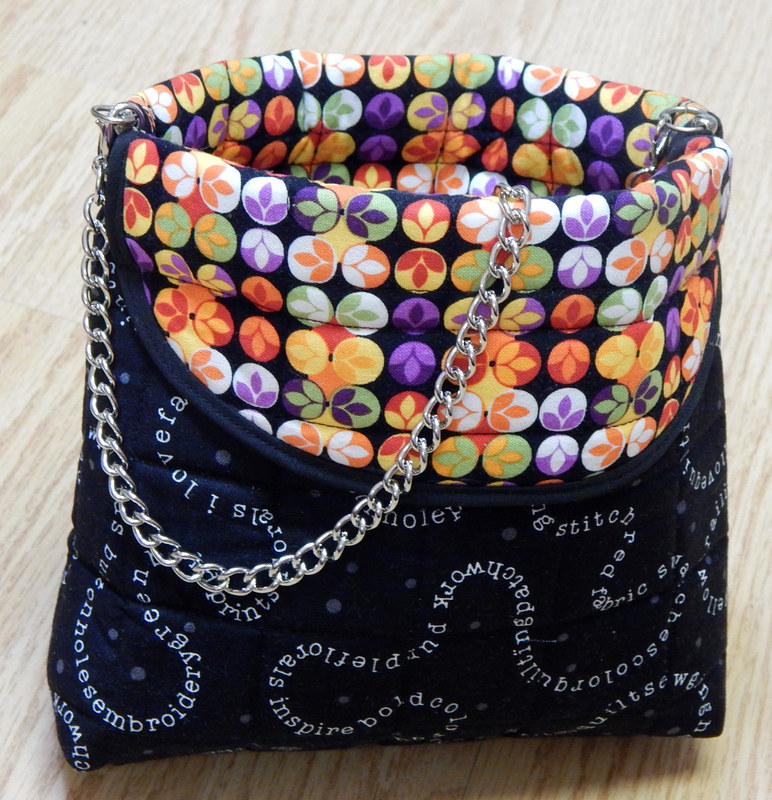 She also had the extra zipper pulls that are useful for this design, so I bought the pattern and the zipper pulls. This pattern has VERY clear instructions. I read a fair number of patterns (and write my own), and this is one of the best-written patterns I have seen. 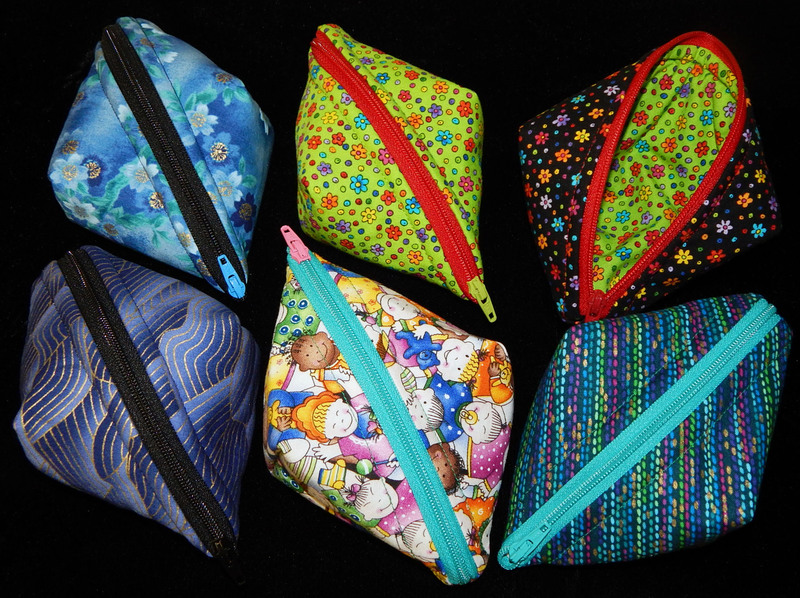 The little pods are easy to make, even with taking time to learn the zipper trick. 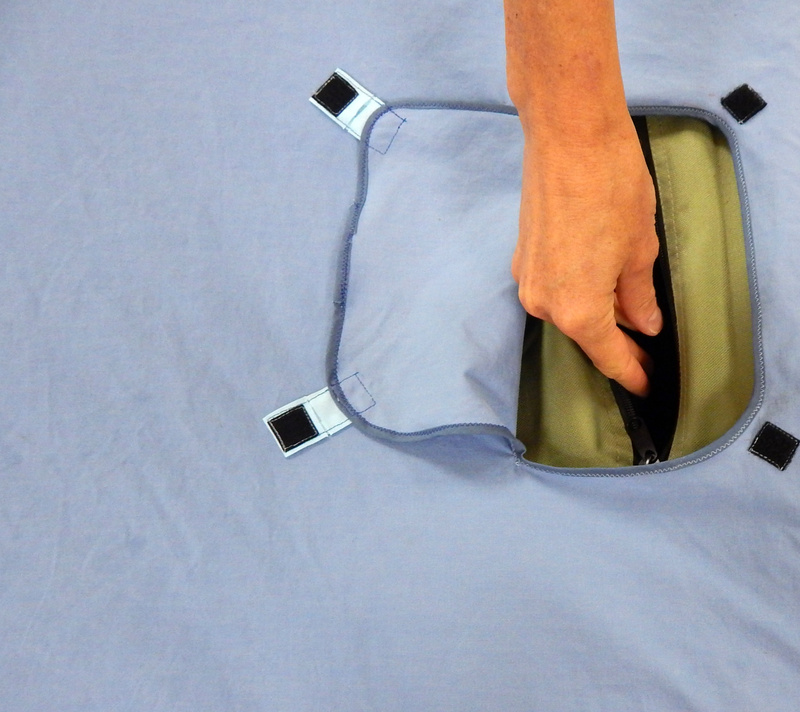 The zipper trick actually is easy, and instructions for that are very clear as well. 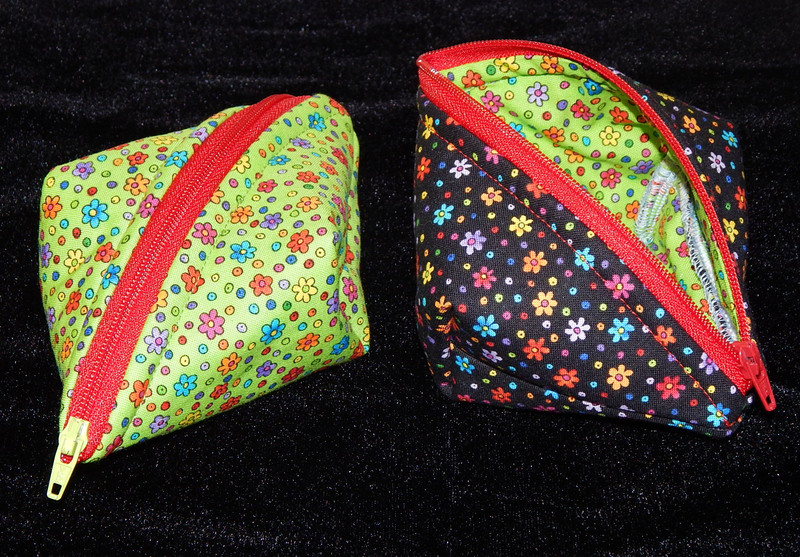 The pattern is set up so that you get two pods out of each set of instructions, so I cut them out with coordinated fabrics–outside fabric for one pouch was the lining for its mate! What fun! This is so fast and fun that I made several of them. 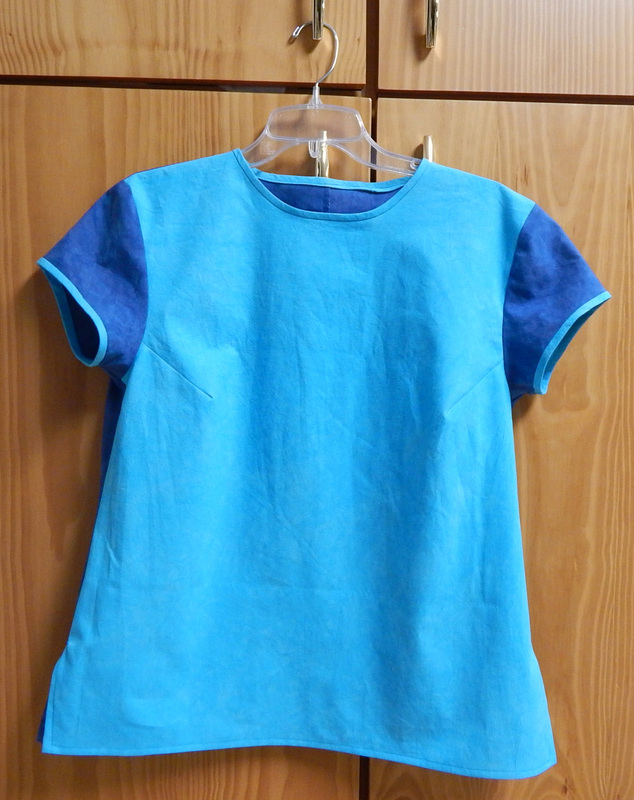 The instructions say to zig-zag finish the inside seams, but I used my serger for that, so it was even faster! This was a great break from a rather tedious project I’ve been working on. I’m giving these to our daughter to use as teacher gifts, but I foresee another round of them for Christmas gifts coming right up! 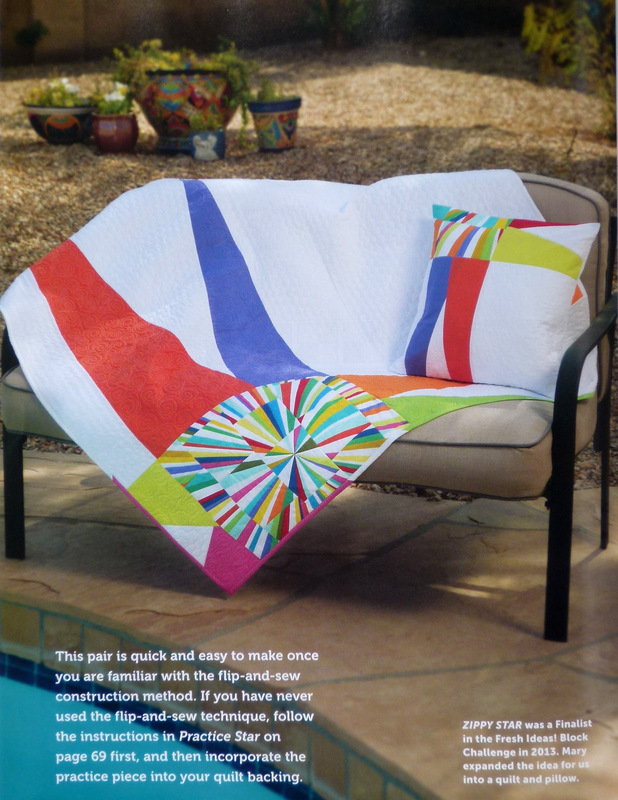 You can order the pattern at several places online, or go right to the source at the Lazy Girl Designs website. 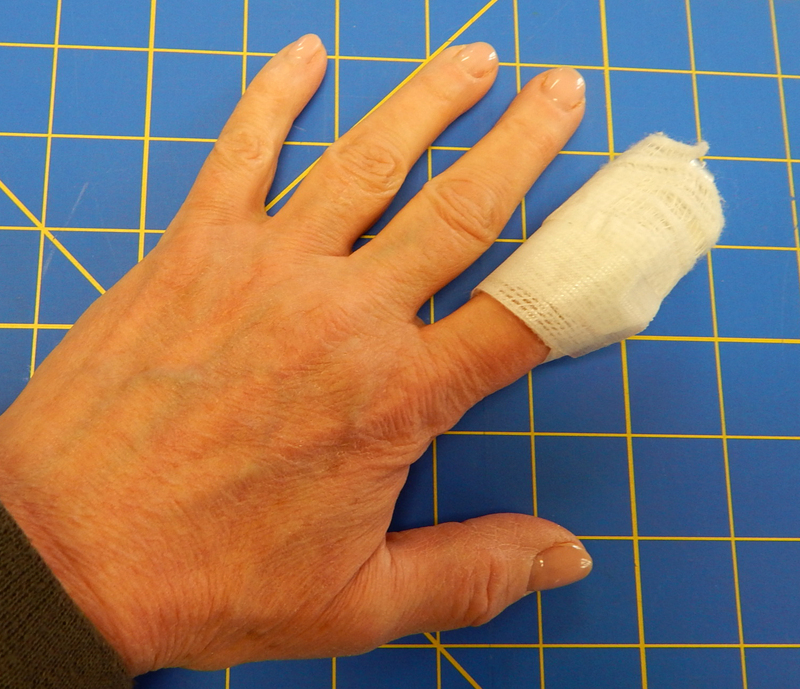 First, the bad news: I sliced a good-sized hunk out of my finger with the (nice, sharp) rotary cutter. When I couldn’t get the bleeding stopped after an hour, I went to Urgent Care. A nice Physician Assistant there got it all fixed up. Lora’s instructions requested foam batting, a product I had never heard of! 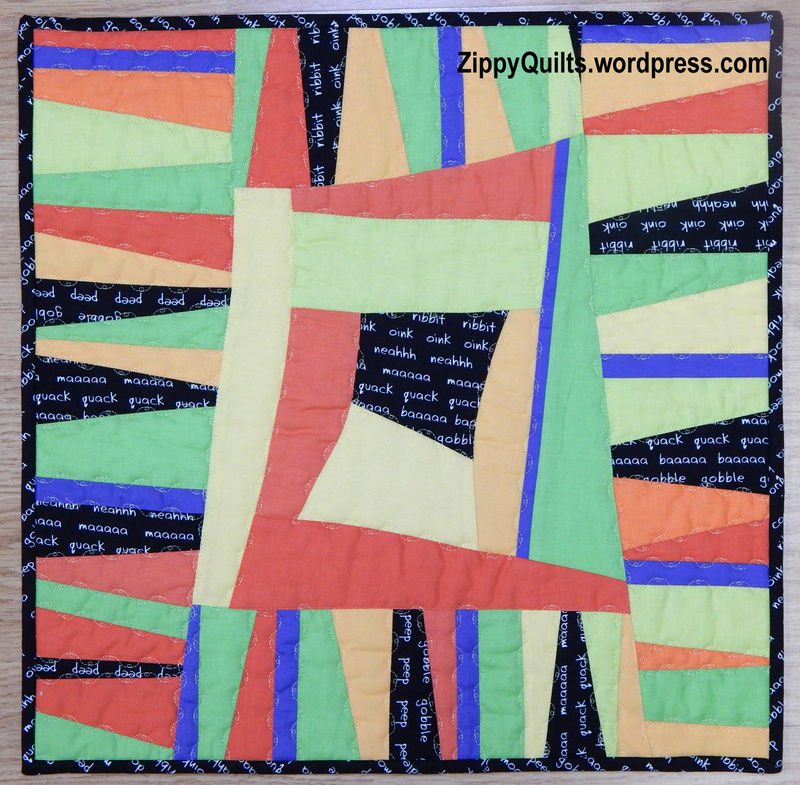 Luckily, my “local” quilt shop had it. It did give the bag really nice structure without making it stiff, and I probably will use foam batting for future bags. A nice find! I purchased the hardware for the bag from Lora’s Etsy shop, I had no idea a flex frame could be so sturdy. Most bags I’ve seen were made with lengths of metal measuring tape as the closure. That works just fine (if your husband isn’t very vigilant about his tools) but the closure isn’t very tight. The flex frame that came with the kit holds that bag closed with certainty! And unlike the measuring tape closure, this one can hold itself open when needed. Lora’s instructions also called for glue-basting the binding, which I had never done. It actually worked great! I’ll probably do that again. 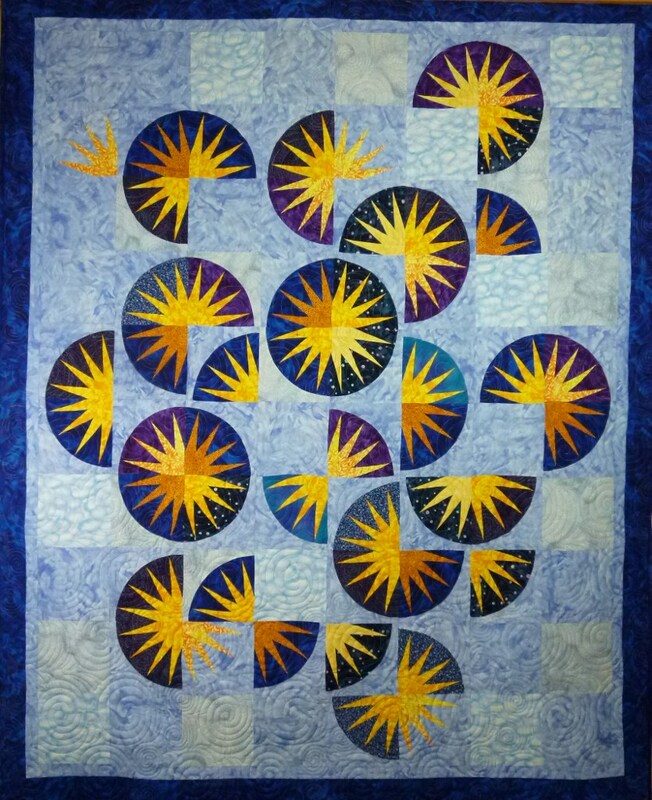 If you’re interested in the year-long Quilted Adventure, all classes are online for the whole year, so you can sign up any time. Just use the link above to go to Lora’s site and click the button in her margin. If your main interest is the bag rather than the whole retreat, she’ll release the single pattern some time in 2017. So the good learning experiences certainly outweighed the bad this week!